Throughout my career, I have had the opportunity to interview a lot of prospective candidates for a variety of positions, from entry-level, to c-suite, to volunteer, to consultant. 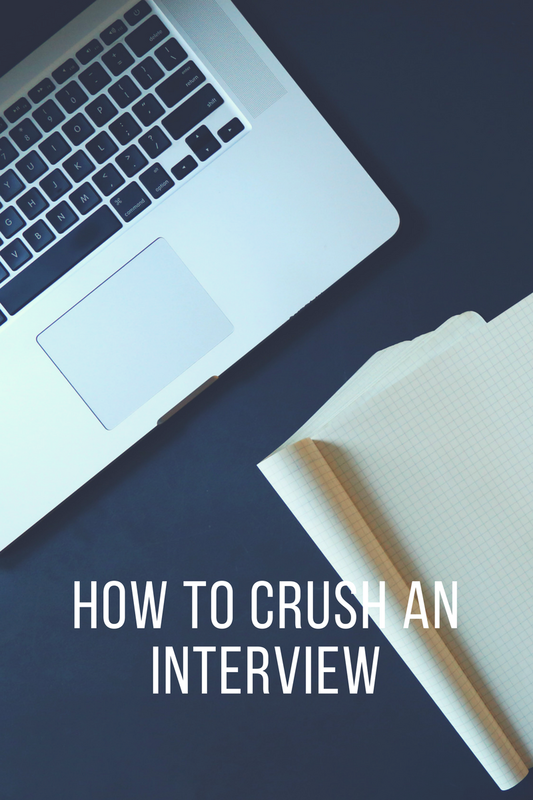 I have been frequently told that I am a tough interviewer – but I also do my best to make sure the interviewee is comfortable and can bring their best self to the conversation. When I interview someone, I do not look at their resume and ask them to walk me through it – they’ve already gotten the interview, so I think it’s a waste of time. A great interview should be about getting to know the person better, understanding how they see the world and their work, and seeing whether they will be happy in the job. First, I think it’s incredibly important to reduce all bias as much as possible throughout the interview process. I am a big fan of ‘blind resume/cover letter reading’, where the person who decides whether someone will get an interview does not know the gender, ethnicity, school names, or whether they have a connection to the organization. Given the fact that men will apply for jobs they are not qualified for, and women rarely, do, I also like to look for potential in each resume – they do not need to meet every requirement, and I personally think it’s better if they don’t. This is not an exhaustive list of interview questions, but it is comprised of some of my favorites. A compelling story should be no more than 3-5 minutes, should go back as far as you can, and should definitely not be a walk through of a resume. It should help the interviewer understand why you are in the room with them, and why the position is of interest. You can talk about past experiences, but don’t get into the details of each job at this point. Keep it honest, concise, and compelling. What are your strengths and weaknesses? When you look at the job description, what will be most challenging duty? What will be the most rewarding? For the interviewer – I hate the strengths and weaknesses question, because it always brings up canned/prepared responses. I like to reframe it in a way that is more useful and elicits a less scripted response. For the interviewee – be honest. What is going to represent the biggest learning curve? Share that, and then share some of the tactics you will use to quickly learn and understand that aspect of the job. What are you truly most excited about? Keep in mind that most job descriptions start with the most important tasks first, so try to highlight one or two of those (as long as you’re honestly excited about them – and if you’re not, then re-consider whether you want to apply for the job). Describe your own leadership style in three words or phrases. Before you begin applying for jobs, it is important to focus on self-awareness. This will involve deep introspection as well as soliciting feedback from others. These should not be generic. Please don’t say: “I’m a hard worker. I am organized. I manage time well.” Be honest, and don’t be afraid to highlight your true strengths. For me, it might be “Being present. As a leader, I am fully focused at whatever task is before me. I can promise that in any meeting I will be listening well, asking good questions, and working to understand the viewpoints and needs of others.” This represents one of my five core values, but also deeply impacts my leadership style. Why do you want to work for this nonprofit? I want to help people. Please never, ever use that as an answer for this question. Yes, everyone in the nonprofit sector wants to help people, so that does not make you unique. What does make you unique? What is the deeper reason that you want to work there? Is it because you believe that every human as a fundamental right to clean, accessible water? Or that social entrepreneurs need strong support systems, so you want to work at an accelerator? Whatever it is, get clear on it before walking into the interview room. Where do you see yourself in 3-5 years? What is it about this role that will help prepare you for your lifelong career goals? Interviewer – pretty much everyone is going to say, well I would love to be still working at XYZ organization. Great! Helpful? No. Instead, try to understand the motivations around the organization and the position – this will help you understand if the person is going to be in it for the long-haul. Interviewee – this answer once again requires you to understand what your lifelong career goals are. I have three headlines for my life – for work, for family, and for impact. My work headline is, “Be the go-to expert on empathy-based leadership”. I then worked backwards through the goals I need to accomplish to make that a reality – write a book, become a leadership coach, find more speaking opportunities, etc. I can then clearly state with any job, which parts of the position are going to best fit those long-term goals. Always, always have questions. Ideally, you should have a few in mind, but if they have been answered in the interview, do not ask them again – it will seem like you haven’t listened. I like to hear questions such as the following: What are the top three challenges the organization is facing, that the person in this position could support? What are the three most important qualities a person in this position needs to show up with on day 1? How do you like to give and receive tough feedback? Tell me about an impossible project you had to take on and how you accomplished it. What question should I have asked you that I didn’t?